How do you make sure recruiters find you for the right jobs? Get active on Twitter & LinkedIn. Help your company to recruit internally. Write and get read by your target audience. Speak and get heard by the right people. Make sure your resume is posted online somewhere. Get referred by somebody on the inside. Got any more ideas? Please share them with us in the comments! 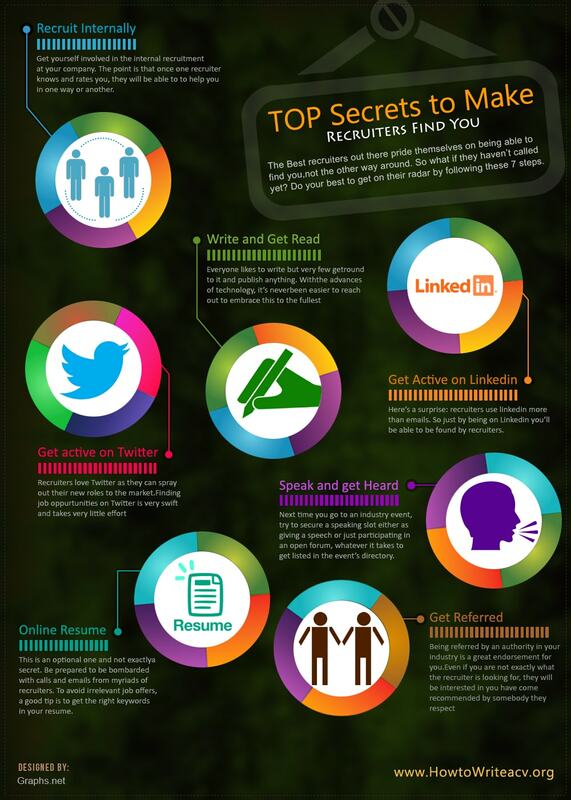 RELATED: 10 Secrets to Getting Yourself Headhunted.